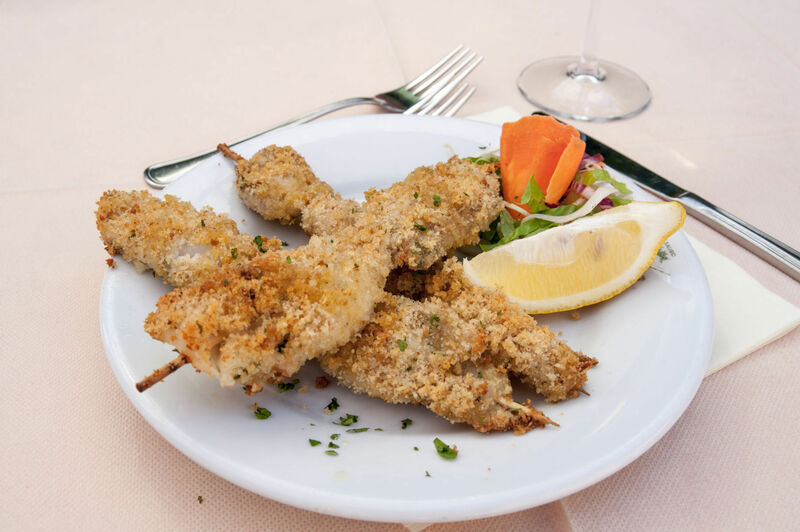 Restaurant Da Sauro offers a wide variety of starter to suit all tastes! 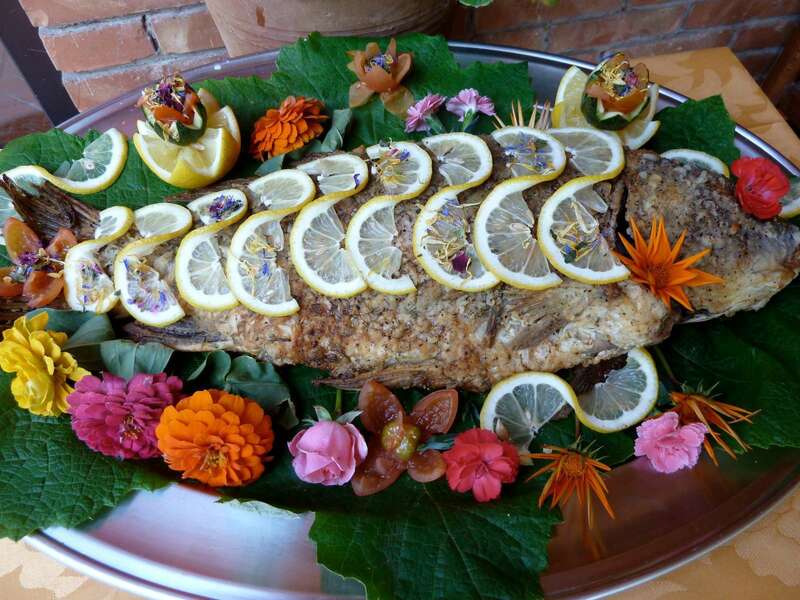 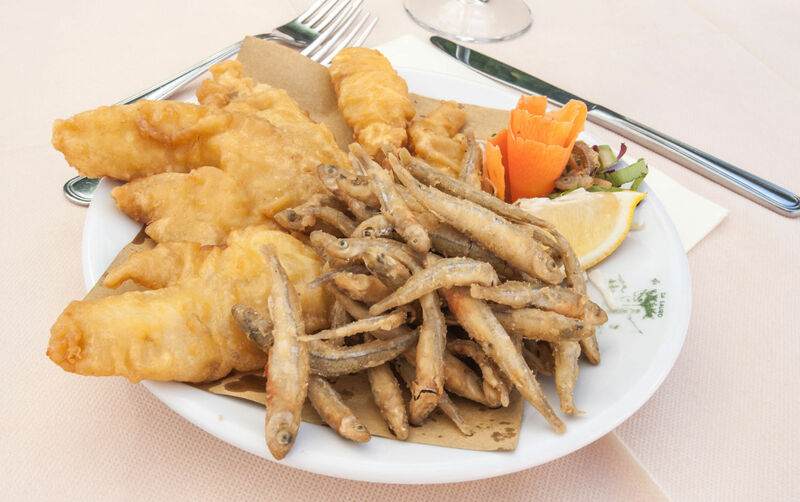 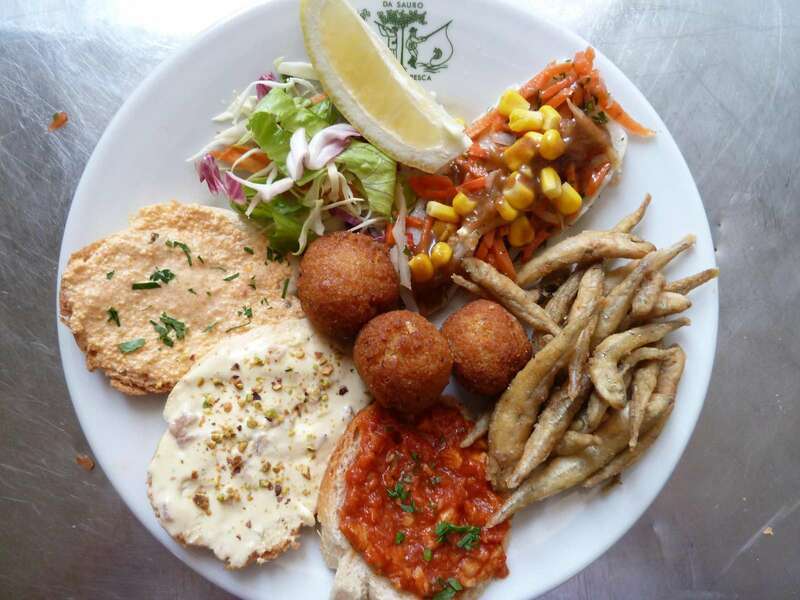 For fish lovers the menu offers: Starter Trasimeno Lake(Canapès, Perch fillet, fried Atherines, fish’s croquettes), Fish’s canapés and Perch filet salad. 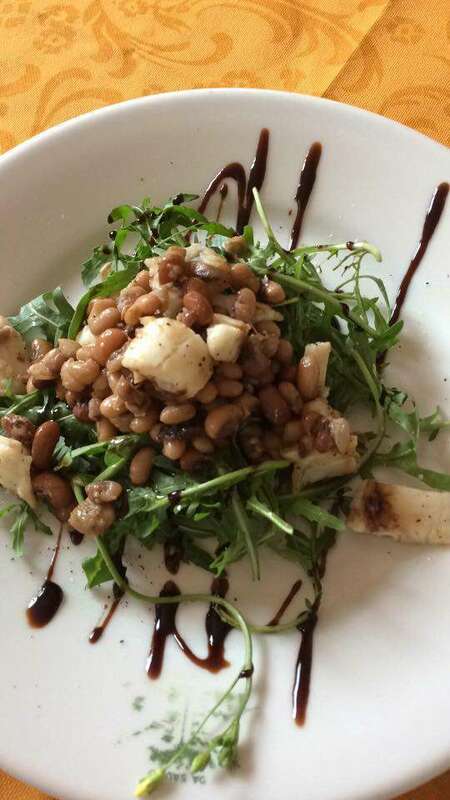 While for those who prefer an starter, the restaurant offers: Italian Starter(Grilled bread with varied toppings and mixed cured meats), Mixed cured meats & sliced cheese variations, or Caprese Salad (Salad with tomatoes, olive oil, mozzarella & basil). 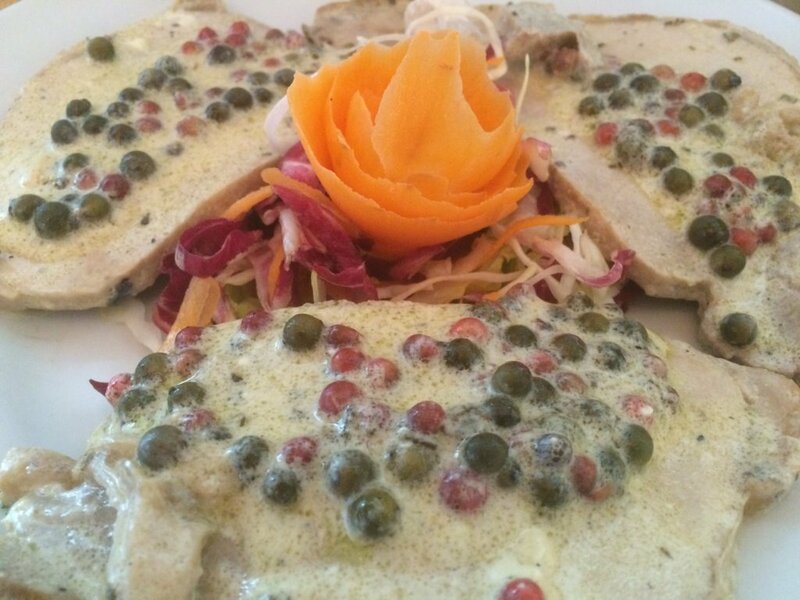 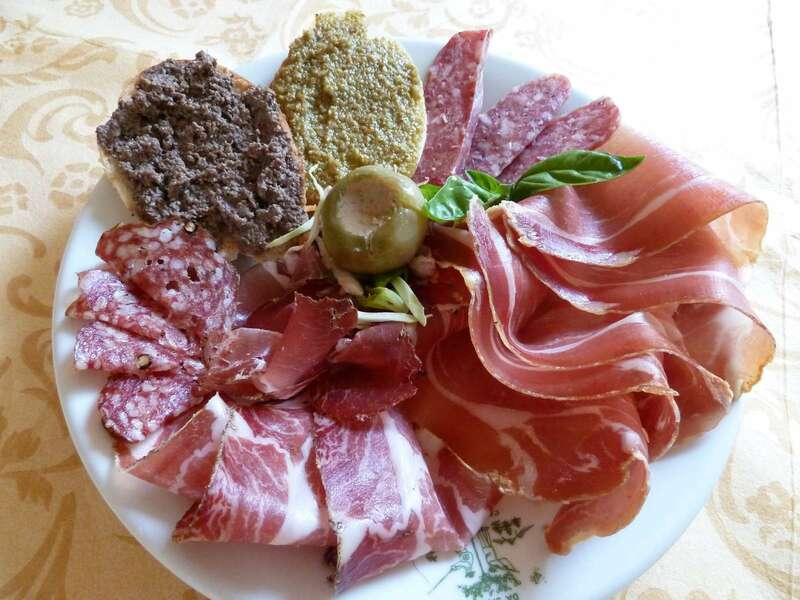 To the restaurant Da Sauro you can taste the best Umbrian and Tuscan dishes. 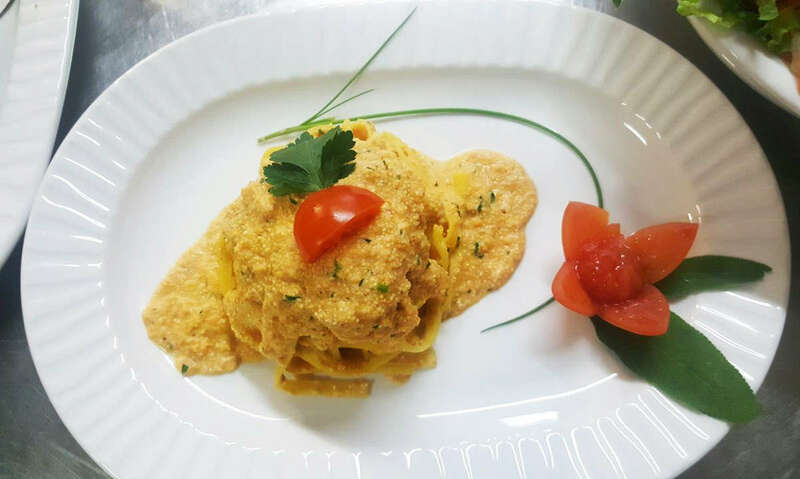 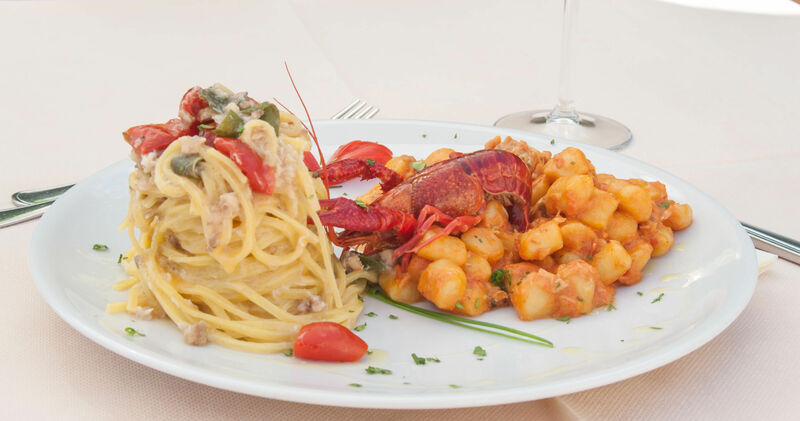 You can choose from a wide variety of pasta dishes made with fish from the lake: Thin noodles with smoked Tench, Lasagna perch and pesto sauce, Gnocchetti Trasimeno (Gnocchi with tomatoes, Perch’s filet, cream), Spaghetti del Pescatore (Spaghetti or Tagliatelle, a mix of fish’s fillets), Tagliolini perch’s souce. 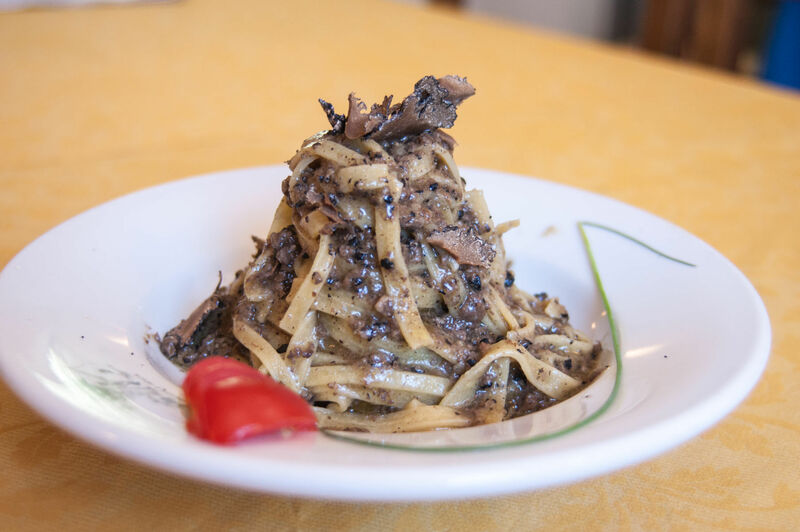 For those who want a menu of land, Da Sauro offers: Tagliatelle with black truffle, Tagliatelle with Porcini Mushrooms, Spaghetti with Bolognese Sauce. 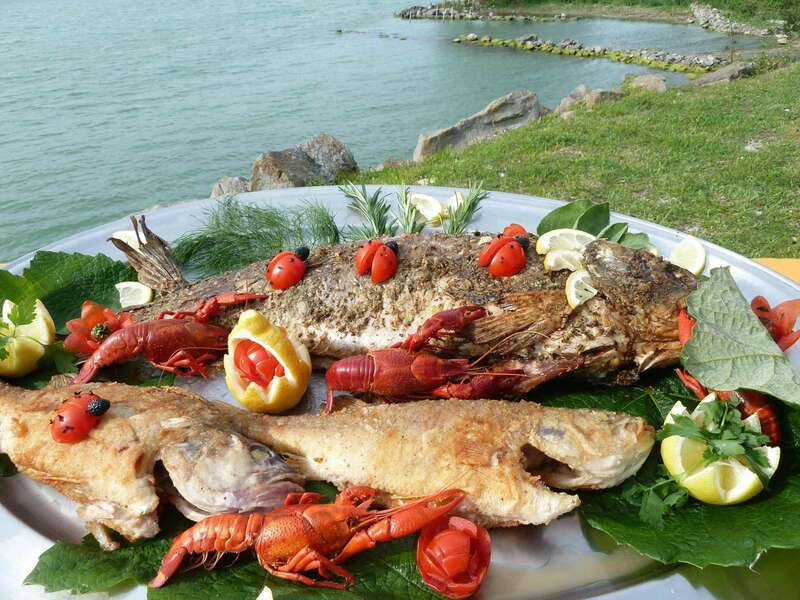 The rich menu of second courses with fish from the lake offers: Carpa Regina in Porchetta (Queen Carp in “porchetta”: speciality of Trasimeno Lake, baked in a wood oven carp ond stuffed with its own flesh), Tegamaccio (Stewed mix of fishes’ lake), Brochettes of Perch “au gratin” in a wood oven, Fried Perch’s fillets, Fried Athérines (silverside, tiny translucent fish), Fried mix of fishes’ lake, Perch’s fillets with Butter and sage. 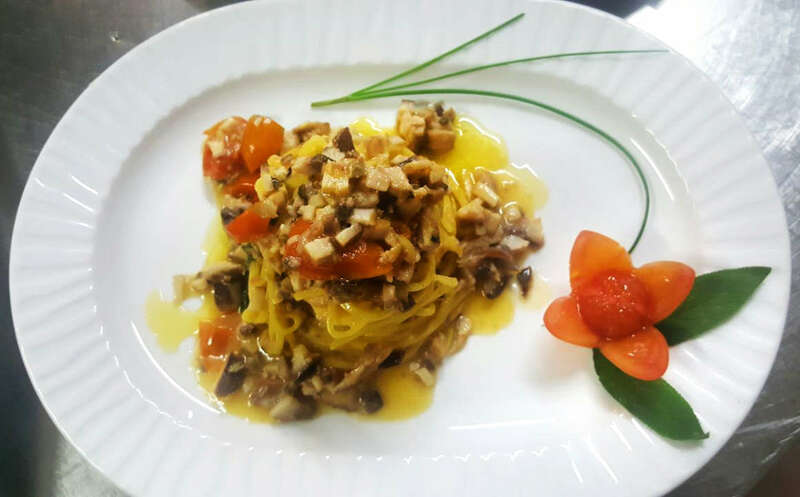 Among the second courses you can also enjoy: Beefsteak or slices, Pork with green pepper, Pork with mushrooms, Big mixed salad. 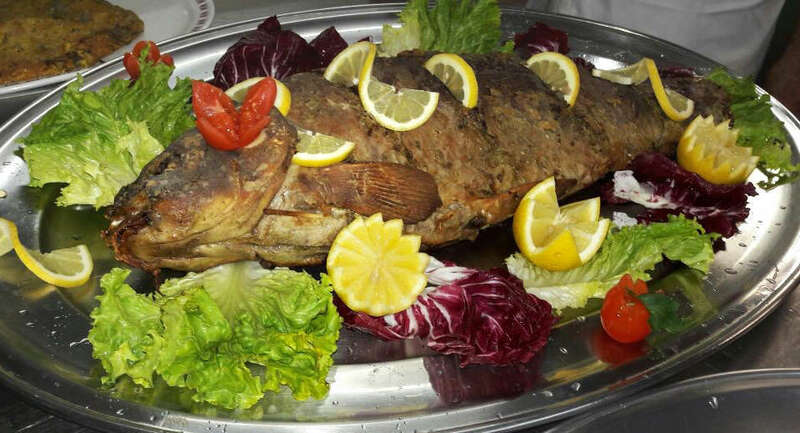 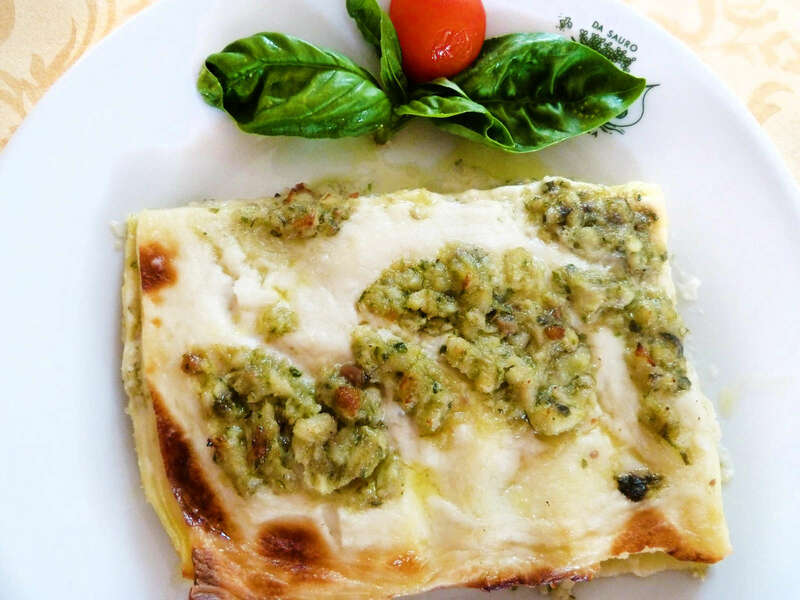 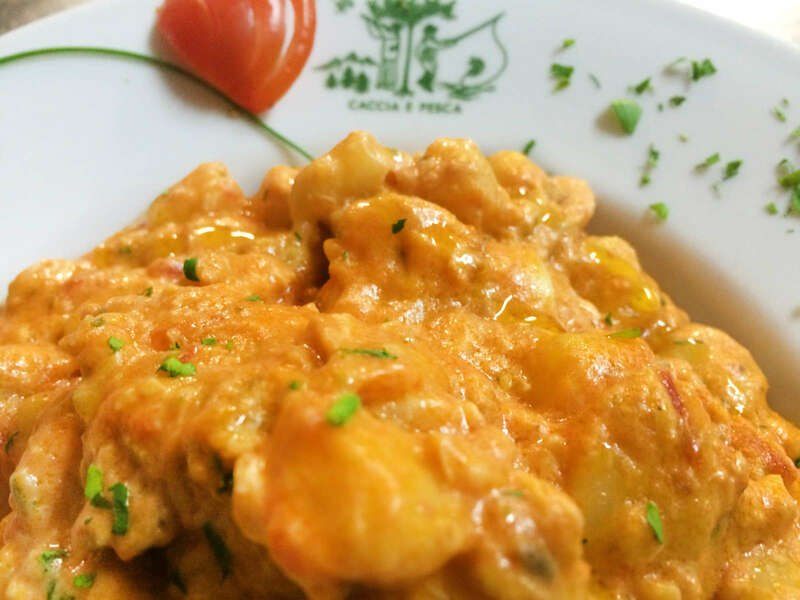 The menu of the restaurant Da Sauro offers side courses of all types and for all tastes. 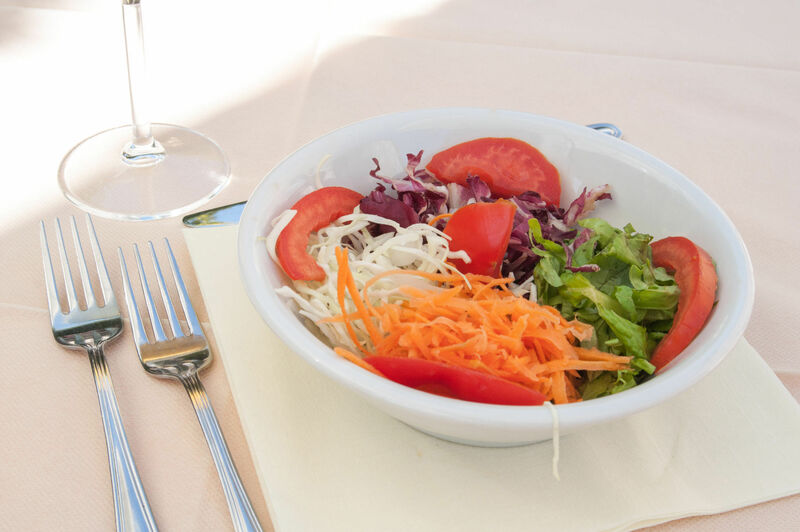 You can try: Seasonal mixed salad, Cooked vegetables sauteed, Chips and Roast Potatoes. 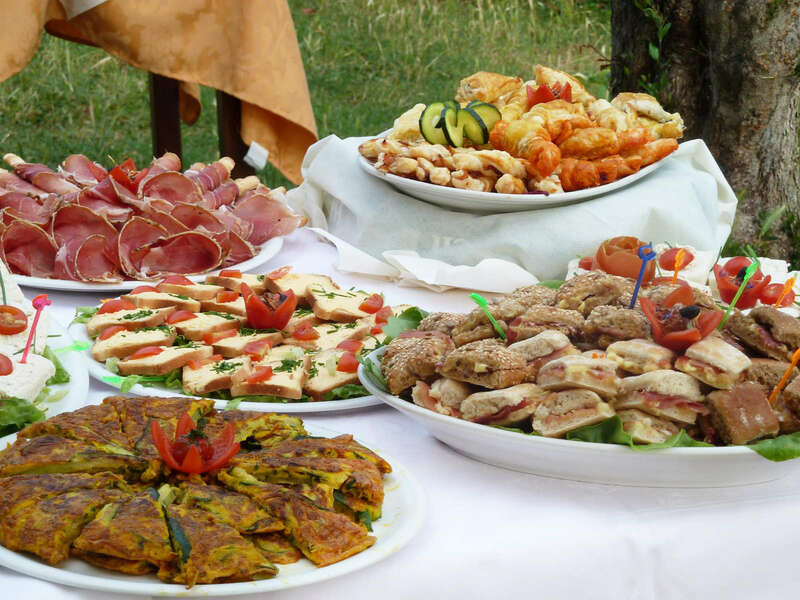 In addition, the menu includes a selection of Pecorino cheese (Selection of various ewe’s cheese) or Mozzarella (Mozzarella made from cow’s milk). 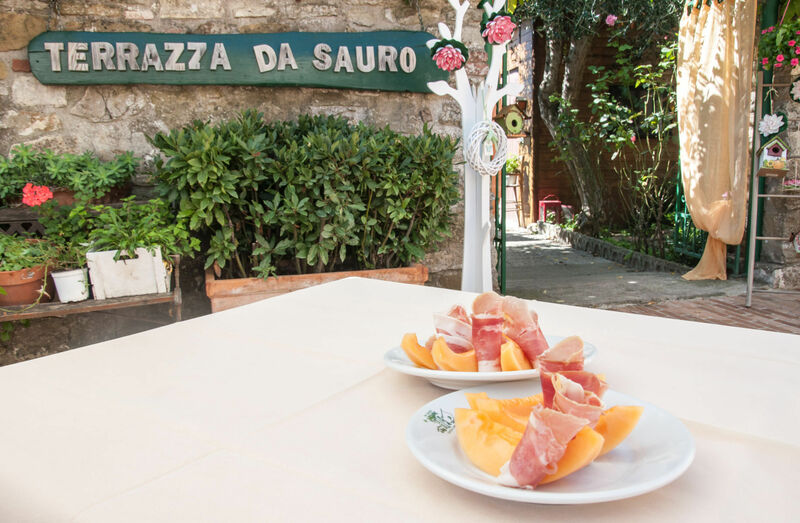 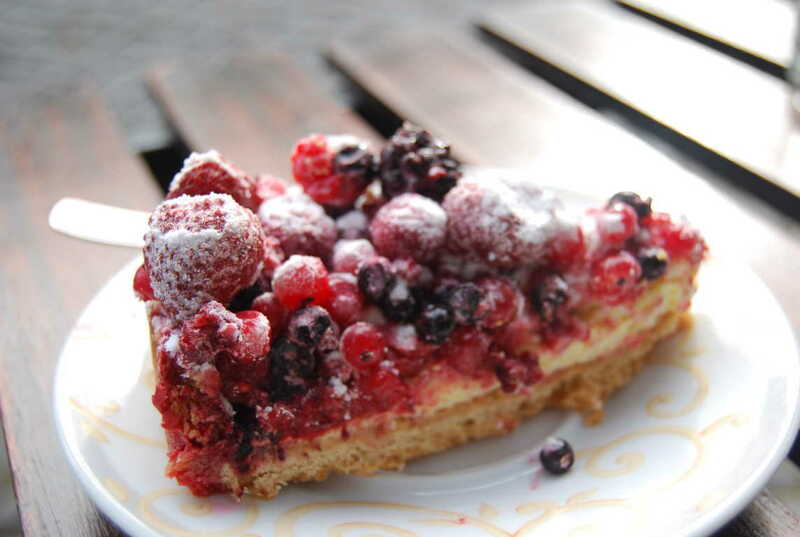 Da Sauro menu includes also delicious pastries, cakes and fresh fruit of the season. 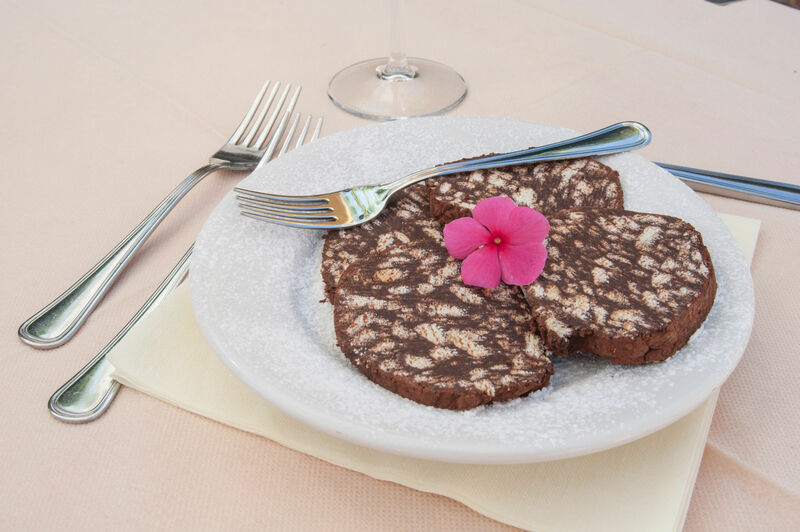 Among the desserts, the restaurant offers: Chocolate salami, Homemade cake, Tiramisu, Panna Cotta (Cooked cream” is italian dessert made by simmering together cream, milk and sugar, mixing this with gelatin and letting it cool until set), Catalan Cream with berries or cakes. 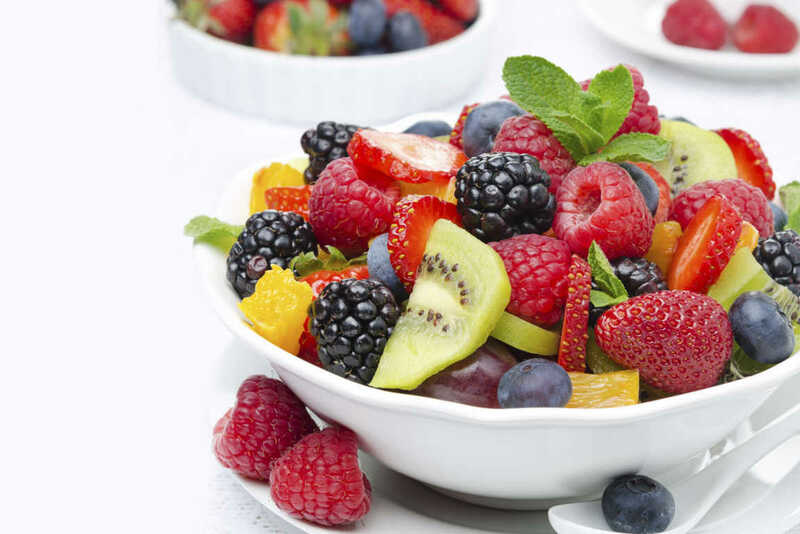 You can also enjoy Fresh fruits of the season, pineapple or a tasty fresh fruit salad.